Do your colleagues sit in their chairs like this? I don’t object to wearing leopard-print to work, although I wonder about the word “should.” Should I? Only if I want to to! The problem is the way this would be person-working-in-an-office is sitting, legs splayed, pubic situation tilted skyward, dreamy gaze into the middle distance. Not a good office look for women or men. Cut that out, J. Crew. So goes the subtitle of a GirlBoss article helpfully pointing out all the helpful ways in which women help others at work—at their peril. I’ve written about being a young woman with a bad boss (The Boss of Me), a beleaguered commuter (Girl in the Gray Flannel Suit) and a woman trying to decode Broffice Brocabulary. If women had a dime every time they were asked by a man to take notes in a meeting, for no other reason than the fact that they’re women, we’d be making at least 84 cents to their dollar. Yesterday, a colleague I like quite a bit started mansplaining an editorial calendar to me—me being the editor, he being the marketing dude. He looked a bit hurt when I called him out for mansplaining so I apologized…a lot. He’s new to the organization, hasn’t worked a lot with editorial teams, was really just explaining his understanding of the edit calendar, not schooling me about it. But I was in a mood, I guess. I apologized again today. And now I should just stop apologizing. The Time & Life building was purpose-built for Henry Luce’s shop in 1959, one of several 45-floor monoliths along 6th Avenue. Time Inc. has started moving downtown and will be completely out of the building before the ball drops on New Year’s Eve (some 8 blocks away). Offices are being abandoned with lots of flotsom and jetsom left behind, including these While You Were Out pads I recall with some wistfulness. The choices are charming really — Someone (say who) did/said something (“telephoned” “wants to see you”). 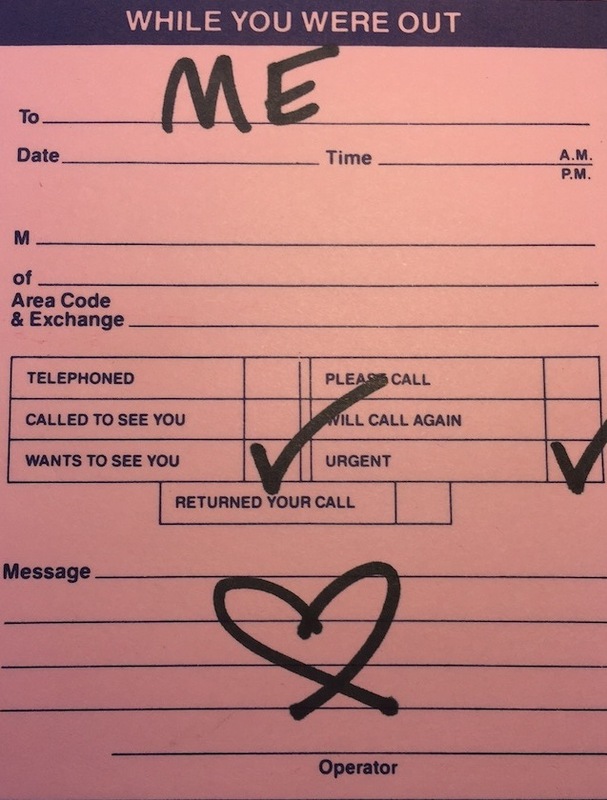 Especially outdated is the notion that this Someone “called to see you,” perhaps with some urgency, if so please check. I filled out a few of these in my day. Never thought I’d be nostalgic about them.